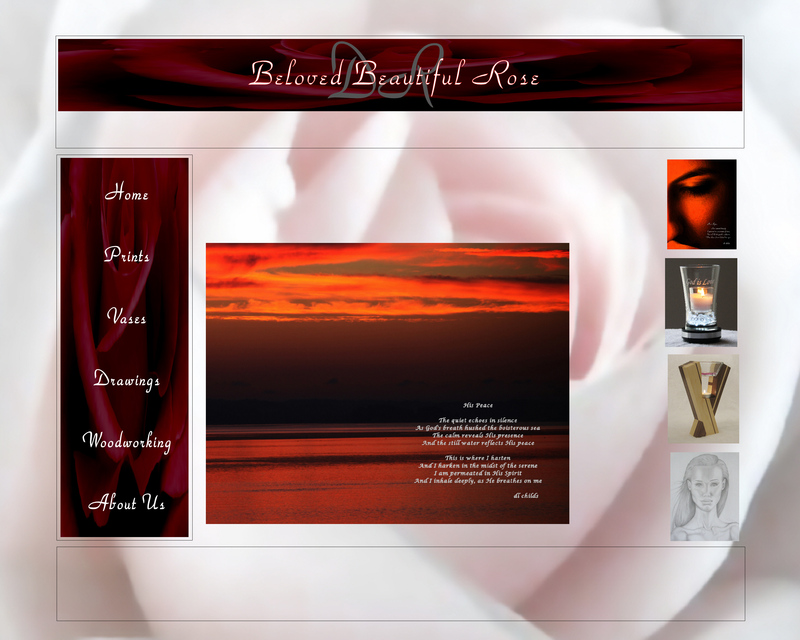 He breathes into me, and I exhale to you..."God is Love"
Beautiful wall prints with inspirational poetry. Decorative glass engraved candle vases, with lighted bases. Uniquely crafted candle warmers and other handmade wood items. Fine art. Realistic pencil drawings. God's immeasurable love extends throughout all creation. We who accept and receive His love, through Jesus Christ, will be with Him in Heaven. As we live to live again, we abide under His shadow, and by virtue of His grace, great and awesome endeavors are achievable in this life. My life is an endorsement of God's love. These great gifts are given to me by God and I use them to be a beacon of salvation, because I live in His love.